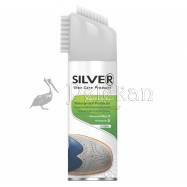 SILVER UNIVERSAL WATERPROOF PROTECTOR SPRAY. Protects all types of leather, suede, nubuck. Prevents penetration of water, rain and snow. Long lasting protection. 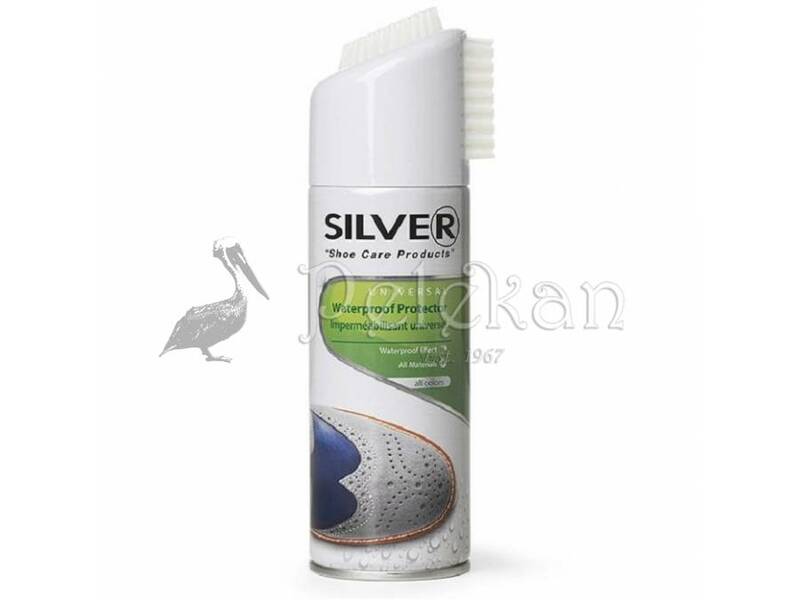 Invisibly protects all types of leather, suede, nubuck and fabric surfaces. 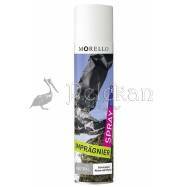 SILVER UNIVERSAL WATERPROOF PROTECTOR SPRAY prevents penetration of water, rain and snow in to your favourite clothes and accessories of any kind (leather or other fabric). 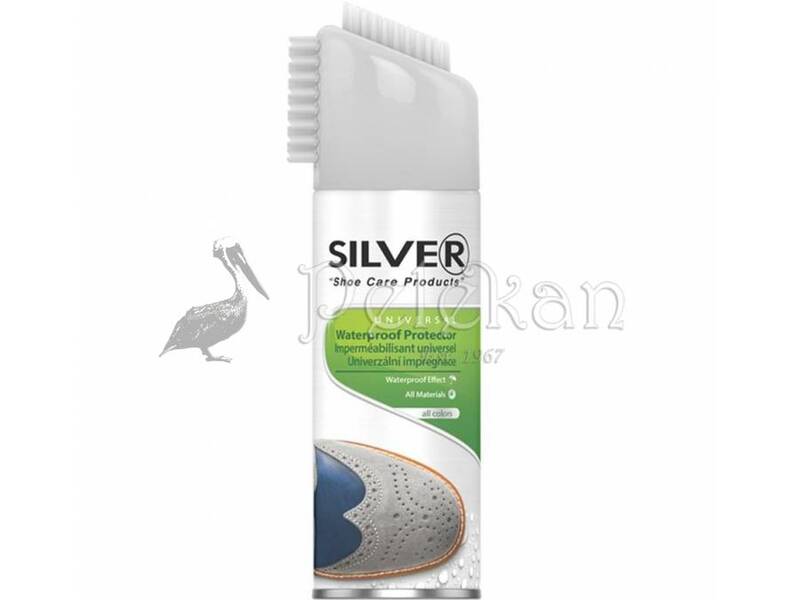 Suitable for shoes, boots, coats and handbags. Provides long term protection. 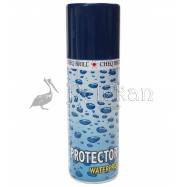 Waterproofing protects leather providing water-based and oil-based stain resistance. Ideal for any color and type of leather as well as for any kind of fabric. 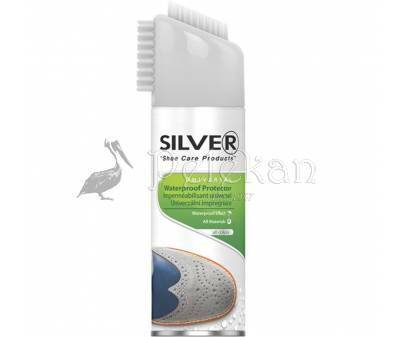 Prevents the forming of oil-based and water-based stains.